Step-1 : Open VBA Editor by pressing ALT + F11. Step-2 : Double-click ThisWorkbook and select Workbook in the left drop-down. Step-3 : The Open declaration should initiate and populate the first and last lines of a Workbook_Open procedure for you. Step-4 : Save as "Excel Macro-Enabled workbook" and close the excel sheet. 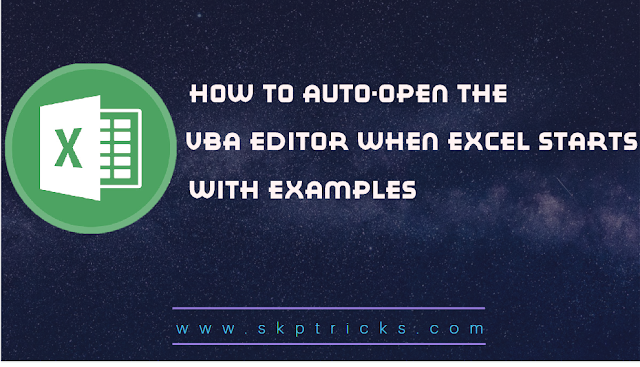 Step-5 : Open the excel again and it will auto-open the VBA Editor when Excel starts. Screenshot while adding VBA code in VBA Editor. 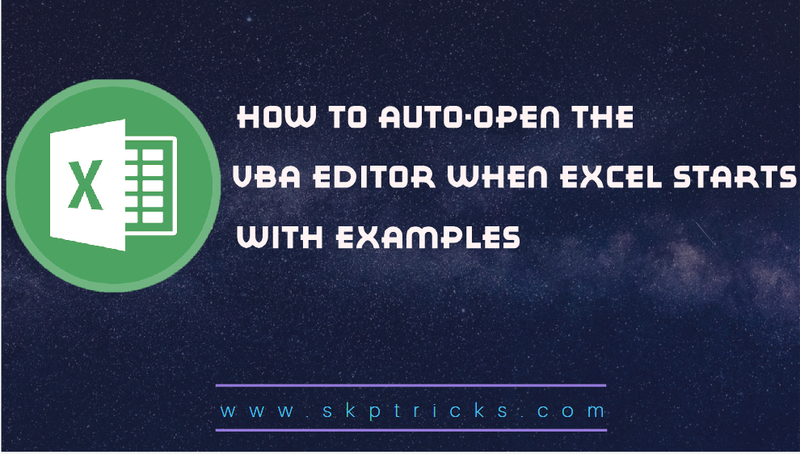 This is all about auto-open the VBA Editor when Excel starts using excel macro. Thank you for reading this article, and if you have any problem, have a another better useful solution about this article, please write message in the comment section.